Wonder Worm E-Liquid by Charlie's Chalk Dust is characterised by its blend of Sweet Tarts (Love Hearts) and Gummy Worms, available now in a 60ml short fill bottle. 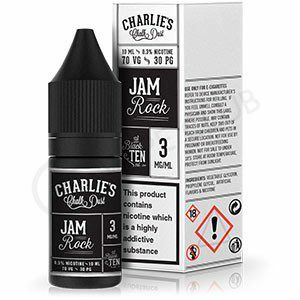 Slam Berry E-Liquid by Charlie's Chalk Dust is a flavour blend reminiscent of Strawberry Ice Cream. Supplied in a short fill 60ml bottle. Savoury cereal soaked in something sweet, this expertly blended milky juice is a perfect mix of breakfast flavours, available now in a 60ml short fill bottle. King Bellman eliquid is both rich and sweet in taste. There is a brown sugar and tobacco flavour acting as a base. To help keep things light, there is a hint of creamy vanilla that’s most noticeable on exhale. 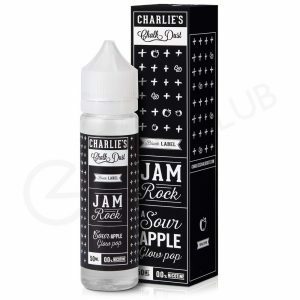 Jam Rock eLiquid by Charlie's Chalk Dust is a sour and sweet candy-themed vape, featuring the taste of a tart Green Apple lollipop, supplied in a short fill 60ml bottle. 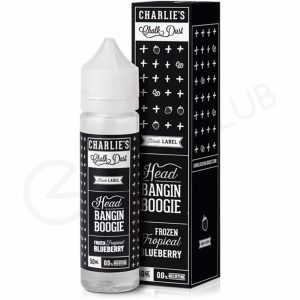 Head Bangin Boogie by Charlie's Chalk Dust features a tropical Blueberry popsicle theme; a Blueberry Ice. Supplied in a 60ml short fill bottle. Dream Cream by Charlie's Chalk Dust features a blend of Vanilla Cream and Fudge, with notes of Cinnamon and is now available in a 60ml short fill. CCD3 by Charlie's Chalk Dust is a sweet and savoury blend of Sea Salt and Salted Caramel, mixed with notes of Ice Cream, supplied in a 60ml short fill bottle. 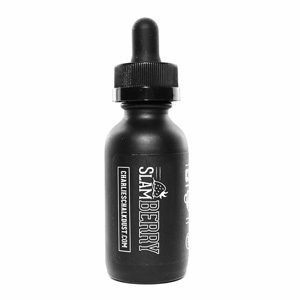 Black Ice eliquid has a cool and sweet taste throughout. The predominant flavour is blackberry, giving the ejuice a dark and fresh tasting berry flavour, which becomes more pronounced thanks to the cucumber and menthol. Big Belly Jelly eLiquid by Charlie's Chalk Dust is a classic flavour from the vape sweet shop, featuring the flavour of Blueberry & Watermelon Jelly Beans, supplied in a 60ml short fill bottle.